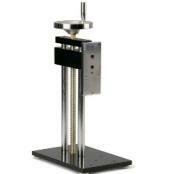 Mark-10, Intercomp and Dillon lines of force measurement items are available. The Dillon force gauge is a self contained measurement device that monitors forces and or weights that push or pull on its built-in load cell. The measurement appears on its digital readout in any unit of measure desired. 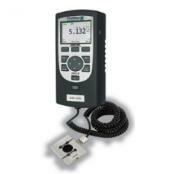 The instruments are constantly monitoring for peak loads in tension and compression. New Dillon force gauges are available in a wide assortment of capacities from 5 to 2500 N (1.1 to 550 lb / 0.5 to 250 kg). Mark-10 digital force gauges can be used in a virtually limitless number of tension and compression testing applications. All force gauges are able to capture the peak force in both tension and compression and have selectable units of measurement. Force gauge capacities are available from 50 gF full scale to 1,000 lbF, the broadest range in the industry. Mark-10 force gauges may be handheld or used with a test stand and gripping fixtures to create a complete testing solution. Also see Wire Terminal Pull Tester Model WT3-200. 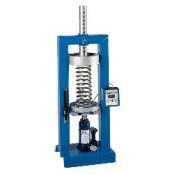 The WT3-200 wire terminal pull tester is designed to measure the pull-off force of wire and tube terminations. An ergonomic lever allows for easy application of up to 200 lbF (1000 N) of pull force. Adjustable wire terminal grip contains multiple slots for wire diameters up to AWG 3 (0.25 in [6.3 mm]). Intercomp Force Measurement Test StandsIntercomp offers fully automated testing stands to make the calibration process as simple as possible. They also offer portable Low Capacity Manual Test Stands which features a digital readout for force and travel and rates springs up to 2" in diameter or medium springs up to 6" in diameter. Chatillon DFS II R Series Digital Force GaugesChatillon DFS II R Series is available with a remote SLC load cell, dedicated to the unit to offer the ability to test in locations where a fixed and integral load cell is impractical. 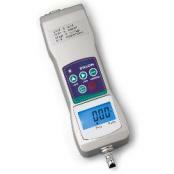 This digital force gauge is available with gauge only or with load cell adding the flexibility of having one base indicator to meet different testing needs.